Only one day to see Fraser Island? Make the most of it with Aussie Trax longest day away! Independence and excitement await with Aussie Trax! 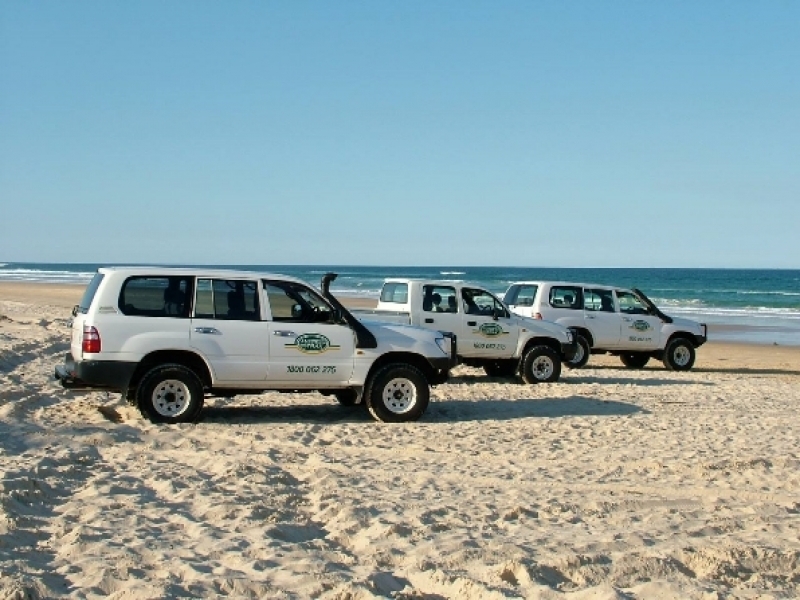 Experience the Aussie Trax Longest Day Away, making a one day self drive tour of Fraser Island possible. With two offices, one in Hervey Bay and the other located exclusively at Kingfisher Bay on Fraser Island, Aussie Trax give you the unique advantage of picking up your vehicle directly from the Island. With 14 years of expertise, the largest selection of self drive vehicles and their focus on customer service being their priority, you're guaranteed an unbeatable experience. Depart on high speed ferry from Hervey Bay to Kingfisher Bay at your chosen departure time, the earlier the better we say! Here you will be greeted by your Aussie Trax experts where you will pick up your selected 4WD vehicle from the huge variety available and be given all the essential travel information you could need for your full day adventure. Return the vehicle later that night, giving you a longer day than any other operator, returning to Hervey Bay by passenger ferry. With two vehicle types to choose from depending on the number of passengers travelling, all Aussie Trax vehicles feature extra front and rear bumpers, raised suspension and all luggage is stored internally, rather than roof racks, for added stability & safety. The 4WDs are modified to suit Fraser Islands harsh conditions with sand tyres and modified springs. If you are already staying on Fraser Island, it is possible to do a 2 or 3 day longest day away tour as well, please enquire for pricing. Please note Aussie Trax is unavailable from 16 Dec 2018 - 16 Jan 2019. Please note rentals are not available Dec 15 - Jan 15.